PhD title: Contribution of HRCT in diagnosis of pulmonary lesions related to rheumatic diseases and correlation of the findings of this technique with clinical and laboratory indexes. (University of Athens). 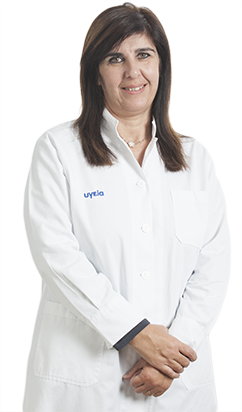 Board member of Empakan (Hellenic Medical Society for the Study of Risk Factors in Vascular Diseases). Current professional position: Director of CT, MRI & Bone Densitometry Department, “Hygeia & Mitera” Hospitals, Athens, Greece. Former consultant Radiologist of CT & MRI Department of “Kyanous Stavros” Clinic, Athens, Greece. During specialization in Radiology: , Konstantopouleio-“Aghia Olga” General Hospital of N.Ionia-Attiki, Areteion University Hospital of Athens. Lectures, as invited speaker, in Medical Congresses & Postgraduate Courses: In total, one hundred twenty two (122) lectures in national (105) & international 17) meetings (up to the end of 2015). Scientific Presentations in Medical Congresses: In total one hundred twenty three (123), 55 in international & 68 in national congresses. Publications:fifty two 52, of which twenty eight (28) in international & twenty four (24) in national medical journals. President of Scientific Union of Hygeia Doctors (S.U.H.D.)03/03/2009-27/03/2011. 2nd award of poster presentation : The role of PET/CT in restaging of Colorectal Cancer”. 14th United European Gastrenterology Week. Berlin, Germany, 21-25/10/200 (.Efthimiadou R, Roussakis A, Gogou L, Pagou M, Laspas F, Malamitsi J, Andreou J). In “CT Coronary Angiography, Andreou I.-Gouliamos A., eds. Konstantaras Medical Publications, Athens 2010. The clinical significance of calcium scoring. Lymphatic system diseases, V.Tsakraklides. Tsevelekakis Medical Publications, 2011. Τthe role of MRI in investigation of renal diseases . “Imaging in Clinical Oncology”, Gouliamos AD, Andreou JA & Kosmidis PA, eds. Springer 2014. NM Findings: PET-CT in lung cancer . Association between habitual physical activity and brown adipose tissue activity in individuals undergoing PET-CT scan Clin Endocrinol (Oxf). 2015 Jan;82(1):147-54. doi: 10.1111/cen.12620. Epub 2014 Oct 27.